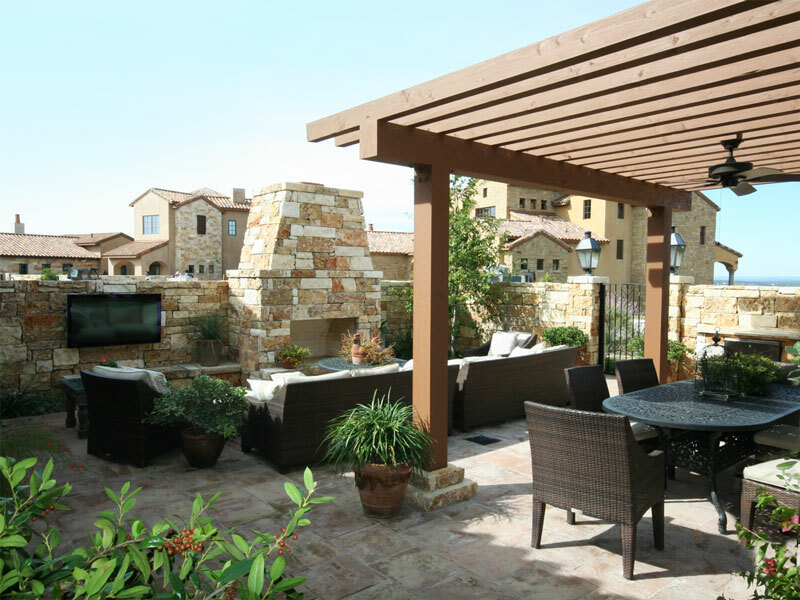 This simple square patio came alive for one of San Antonio’s celebrities with an architecturally-designed and master craftsman-built fir wood pergola. 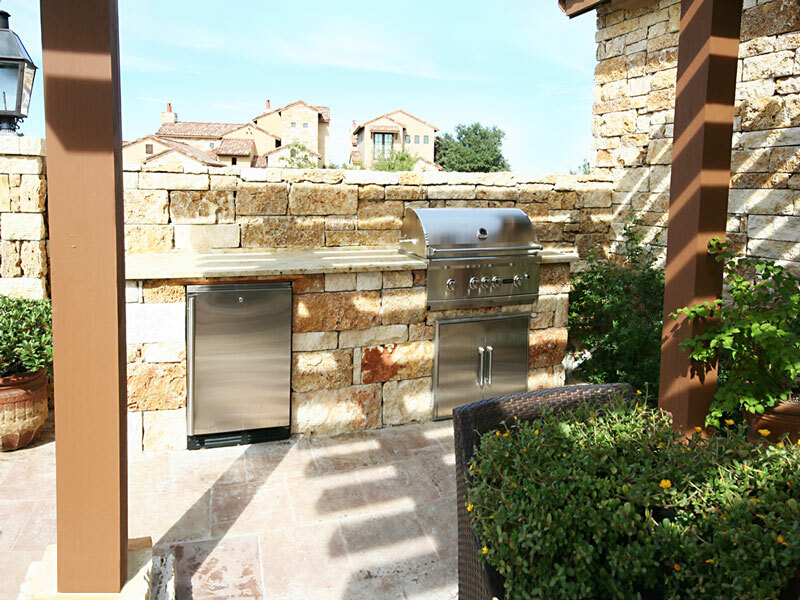 Accenting this patio covering are custom matching rock fireplace, high-tech outdoor grill with matching rock cabinet, honed granite countertop and an all-weather outdoor TV. Perfect for entertaining special guests from around the world.